USR Fantasy has been in the works for a while - I announced it last summer, but I've been working on so many things lately that I've had to put it on the backburner. 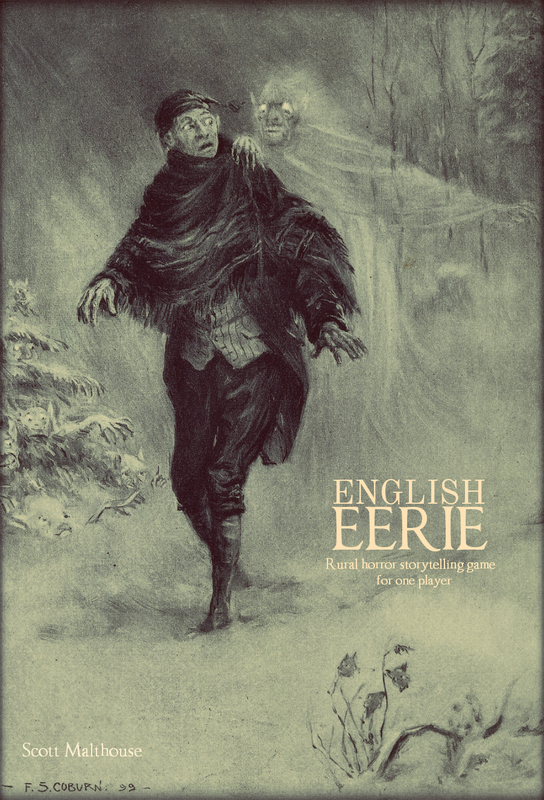 However, the book is back on track and almost ready for public release so I wanted to give you a bit of a preview so you know whether this might be something you might want to play. First off, this is not a complete roleplaying game. Rather, it's a guide to using the free USR rules for a fantasy campaign complete with archetypes, races, weapons, magic and all that good stuff. 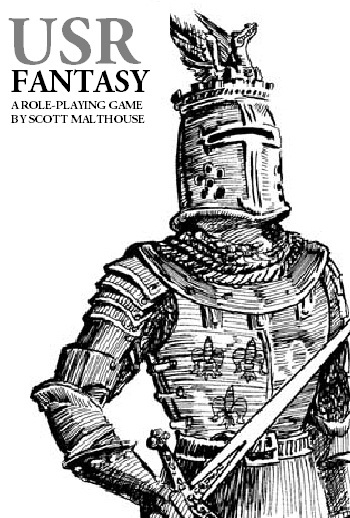 It's going to be on sale as a PDF for probably around $1, so coupled with the free USR rules you're going to be getting a complete fantasy roleplaying system for an insanely cheap price. I prefer the drama and awesomeness in the artwork of the new cover and I think the typography is a bit neater too. 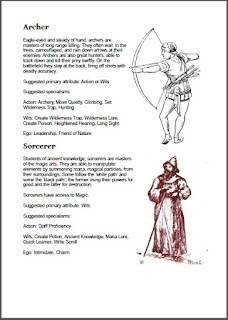 Now here's a page on character archetypes, which are essentially classes. 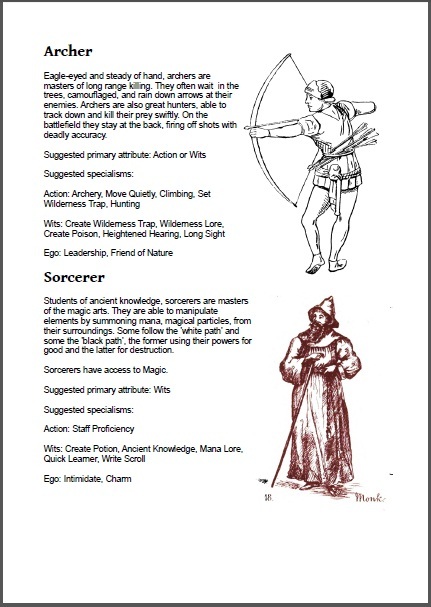 This page outlines the Archer and Sorcerer, although there's also Warrior, Druid and Thief too. 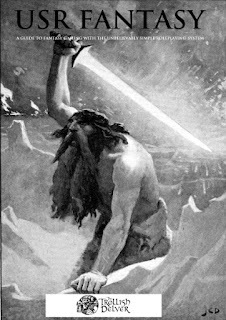 There are also four races - Human, Elf, Dwarf and Halfling, but players are encouraged to create their own archetypes and races. There's no reason why you can't have a Ratling Assassin. It was important to me that these extra bits didn't complicate the game at all. 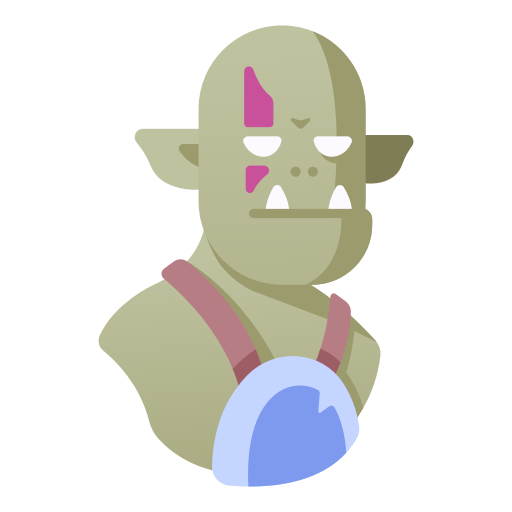 Everything is still unbelievably simple and I think it's the perfect game for beginners who might find D&D a bit too complex. However, it's also great for veterans who like lite rules and lots of customisation and house ruling. This is just the first genre guide for USR, with sci-fi coming up later this year and Slackers sometime in the near future. Awesome! Can't wait to see the approach you decided on for magic with USR.